When a prominent person dies, unless that person was generally recognized as a scoundrel, commentary following the death is usually dominated by praise. Objective evaluations of the deceased’s life and career generally come later. Amid the praise laid upon Justice Antonin Scalia, I was gratified (and somewhat surprised) to read a decidedly negative review of his accomplishments at Salon. Paul Campos, a law professor at the University of Colorado at Boulder, wrote “Scalia was an intellectual phony: Can we please stop calling him a brilliant jurist?” which characterizes the late justice as inconsistent and reactionary. I commend the article to your attention. This post, however, is not really about Justice Scalia. Like a number of other essays I’ve written here—see, for example, “Three Parents?” and “Another Comma Problem”—this is about an instance of the improper use of commas (alas, again). George Orwell once noted that when an English politician dies “his worst enemies will stand up on the floor of the House and utter pious lies in his honour.” Antonin Scalia was neither English, nor technically speaking a politician, but a similar tradition can be witnessed in the form of the praise now being heaped on him. Each of the two above sentences is problematic. In the first sentence, there should be commas around “when an English politician dies.” One could argue, perhaps, that only the second comma is truly necessary. 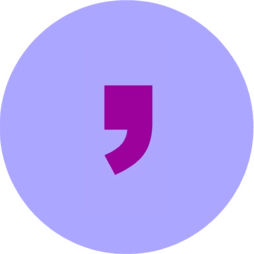 Commas are used to facilitate reading and to prevent misreading. Without the comma after “dies,” I found myself trying to make “enemies” the object of “dies,” despite the fact that “dies” is not normally transitive. Perhaps my brain was confusing “dies” with “dyes.” In any case, a comma would have allowed me to read the sentence without pause. As it was, my distress parsing the sentence was enough to inspire this essay. Antonin Scalia was neither English nor, technically speaking, a politician, but a similar tradition can be witnessed in the form of the praise now being heaped on him. Isn’t that a lot clearer?